The Ultimate Spider-Man animated series has been one of Marvel's most enduring animated series, with season 4 (currently airing) bringing us the big event of The Sinister Six. 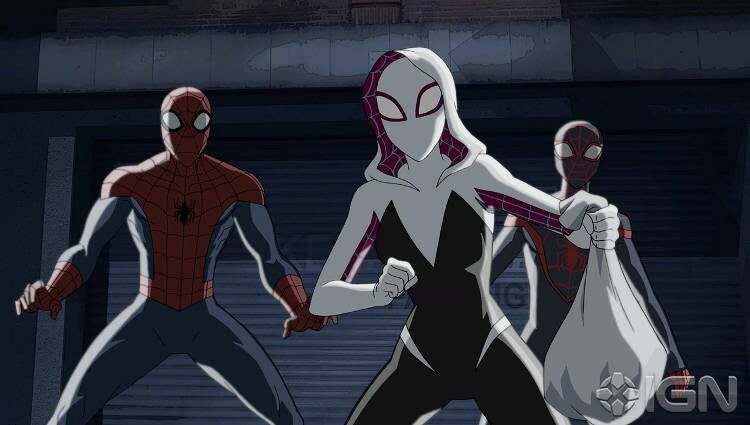 "Ultimate Spider-Man vs. Sinister Six" will soon be concluding, and it will do so with a big four-part story that will bring a fan-favorite from the comics into the animated world. Marvel animation fans, get ready for Spider-Gwen! The report from IGN states that the four-part conclusion to the Sinister Six storyline will be "Return to the Spider-Verse," which will see Spider-Man once again joined by versions of himself from alternate realities (like Miles Morales) and one of the first ones will be Gwen Stacy in her Spider-Gwen alter-ego. For those who aren't familiar: A recent Spider-Man comic book event called "Spider-Verse" saw every version of Spider-Man within the multiverse under attack - and in one of those parallel universes (Earth-65) it was Gwen Stacy who got bit by a radioactive spider on that faithful field trip. Spider-Gwen went on to headline her comic book series, which launched in 2015. Not so coincidentally, the storyline on the Ultimate Spider-Man animated series is titled "Return to the Spider-Verse" - in dual reference to both the comic book storyline, and previous season of the series, which adapted its own version of the "Spider-Verse" storyline. 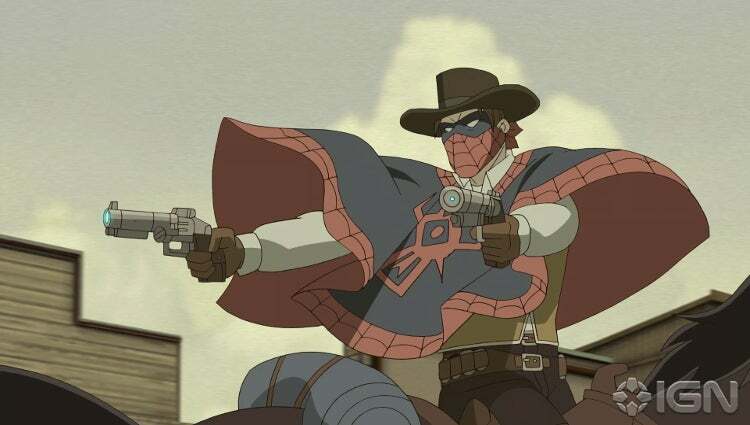 Fan-favorite alternate Spider-Man "Spider-Man Noir" will be returning, and we will see new alternates like Blood-Spider, Wolf-Spider, Web Beard (a pirate), Web Slinger (a cowboy) and more. There will also be some Marvel animation crossover cameos - head to IGN for those spoilers. Actress Dove Cameron will voice Spider-Gwen in Ultimate Spider-Man the animated series, which will air the first episode of "Return to the Spider-Verse" on September 17th.